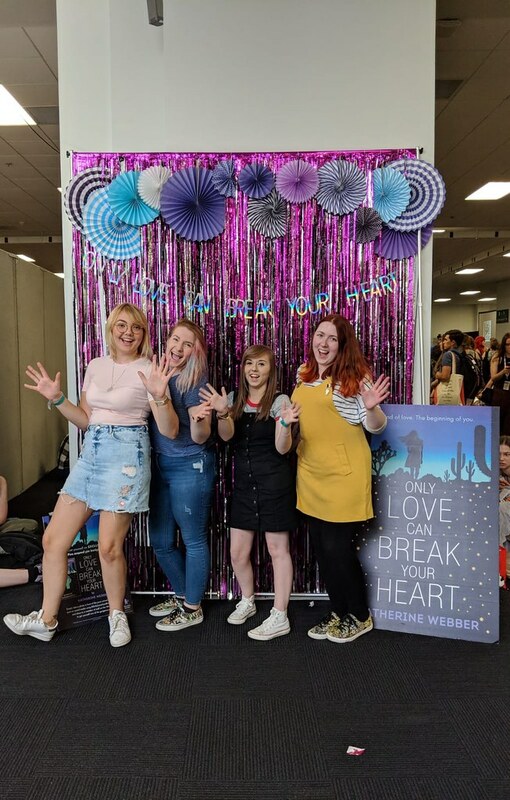 I wanted to talk a little bit about YALC this year, what i got up to, what i loved and what i thought of some of the changes. My haul will be coming separately (because there’s enough books for an entire separate post, trust me) and i cannot wait to share with you all the books that i bought! First of all, i had the best weekend! I had high hopes for this year due to how much fun i had last year during the weekend, and this year did not disappoint at all. One of my happiest memories of this year is spending time with my incredible friends and having such a bookish weekend with them. We shopped, chatted about books a lot, attending loads of talks with each other and generally stuck together as a little super group. I loved it. It also meant that me and Sophie could spend loads of time together sharing ideas about blog posts and being great blog partners. It’s hard not to enjoy spending time with your best mates and playing Bananagrams in your hotel after a long bookish day. This year i wanted to make the effort to spend more time in workshops. Whereas i didn’t go to many, i went to a few that i found quite useful and more over anything, fun. 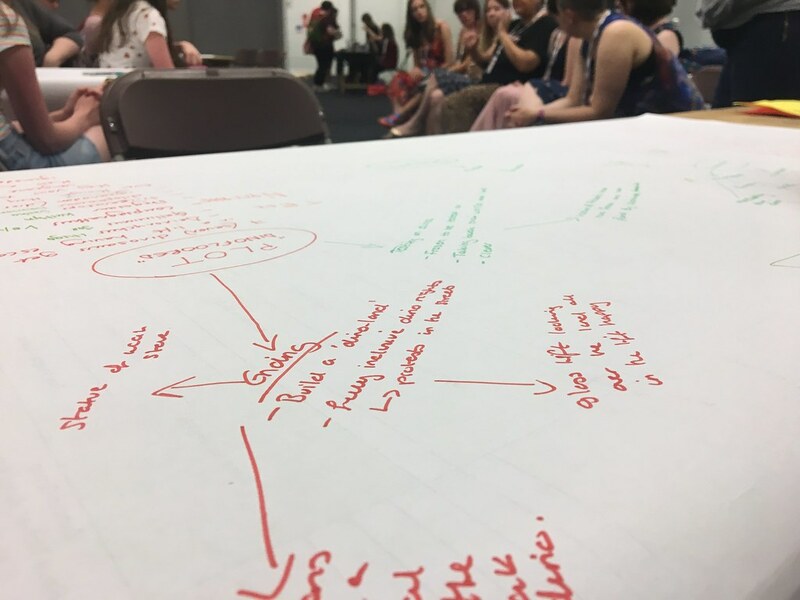 My favourite workshop this year was the Floored workshop with Non Pratt, Lisa Williamson, Holly Bourne, Tanya Byrne, Sara Barnad, Eleanor Wood and Melinda Salisbury. It was one of my most anticipated events of this years con and i’m so glad that i got a place in that workshop. The workshop consisted of seven tables, and each author had a topic that they discussed with tables for five minutes each. They were things such as character, dialogue, world building and history. We started off with Mel and decided to start a wonderful story called ‘Dinofloored’ with her. The basis of the story was the characters from floored as dinosaurs, she created a synopsis and we had the absolute best time making this with her. Each author really got involved with their topic and we ended up filling out more and more of the story together. It ended up as a massive, crazy mood-board. It was easily the most fun i’ve had in a workshop and really felt like i was putting my world building skills to the test when trying to find a suitable world for these modern dinos. It clearly wasn’t the most writing productive, but definitely the most enjoyable. Another thing that i really loved this year was the book buying! There seemed to be so many more new releases and popular books available for purchase, that i had my eye on anyway. It felt so nice to scroll through my wish-list at the end of the weekend and actually tick off at least ten books. I know that what i bought are books that i really wanted to read, and ones that i wanted to get around to pretty quickly. In previous years i know that i’ve picked up books on a whim, not knowing anything about them or even sure if i wanted to read them. But i spent a lot of time thinking about my decisions of those kind of books this year and only picked up the ones i wanted. I think i’m growing up! This year i made no effort with ARCs. At all. I didn’t try to get a single one of them. Last year i worked quite hard to get ARCs and with the ‘run’ technique that was needed, you tend to end up with a lot of books you have no idea about or you’re actually not bothered by. This year in general not many of the ARCs seemed like something i’d want to read. Which was great for me because i didn’t need to make such an effort with it. It also meant that i didn’t come home with a load of books i really didn’t care for. It ran on a raffle system this year which admittedly was a lot more fair, but ended up being just as crowded and quite a lot of queuing. I had a few highlights in general that included meeting Muhammad Khan and talking about how highly i thought of I Am Thunder, we had a really great chat about him writing the book and it really was lovely. I am also really pleased that i got to chat to Deirdre Sullivan for quite a while and had a nice talk with her about how much i adored Needlework. She was such a lovely and genuine lady. Obviously meeting Tom and Giovanna was a highlight, including their talk which was hilarious. As many times as i’ve met both of the authors, i’ve never seen them on a panel together, and that was a really nice change. The signing queues were a lot better organised this year, or at least they tried to be. They created virtual queues for many authors such as Becky Chambers and Akemi Dawn Bowman that i was not expecting, making the lines a much shorter wait. Now if they can do that for more authors next year and have that a little more organised that would be great. I also finally got to meet Charlie, one of the Stripes publicists. I’ve been talking to Charlie online for about a year now and i cannot thank her enough for all the help she’s given us and how much she’s pushed our blog. 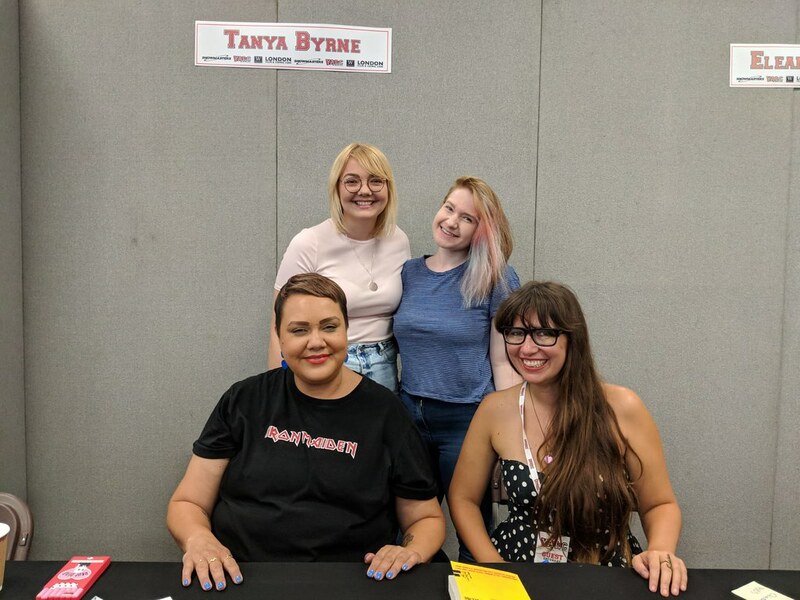 It’s been incredible to have her support, and even more lovely to have some great chats with her at YALC this year – we tried not to hang around Stripes for too long! However we obviously had to be around for the cover of Proud coming out of the closet on Saturday! I cannot wait for this anthology to be released next year and you can bet we’ll have a read-along prepared for you. I also made so many connections with fellow bloggers and spoke to a few more people this year (i’m clearly getting brave) so that was really lovely too. 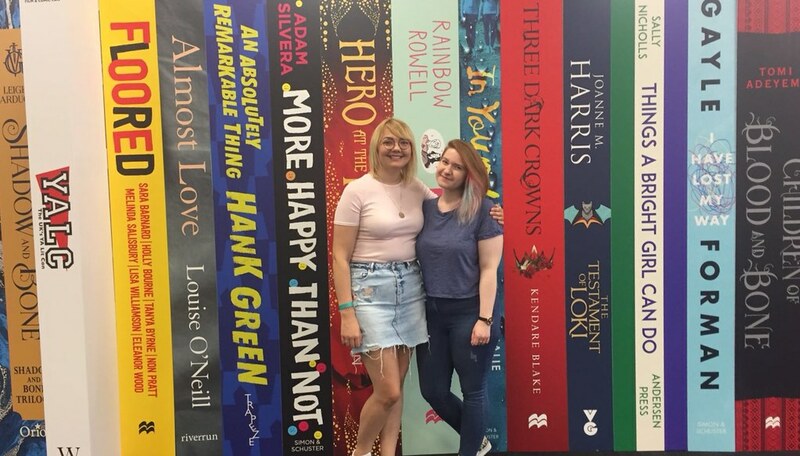 There are so many more things i did during YALC this year, so many more signings and so many more people i got to connect with, talks i went to and adventures i had on the floor. One thing i will say about this year is that accessibility was still a struggle for a lot of people. The ARC system of raffle tickets still made many people unable to join in, due to crowds, a lot of standing up to get tickets and some other issues. 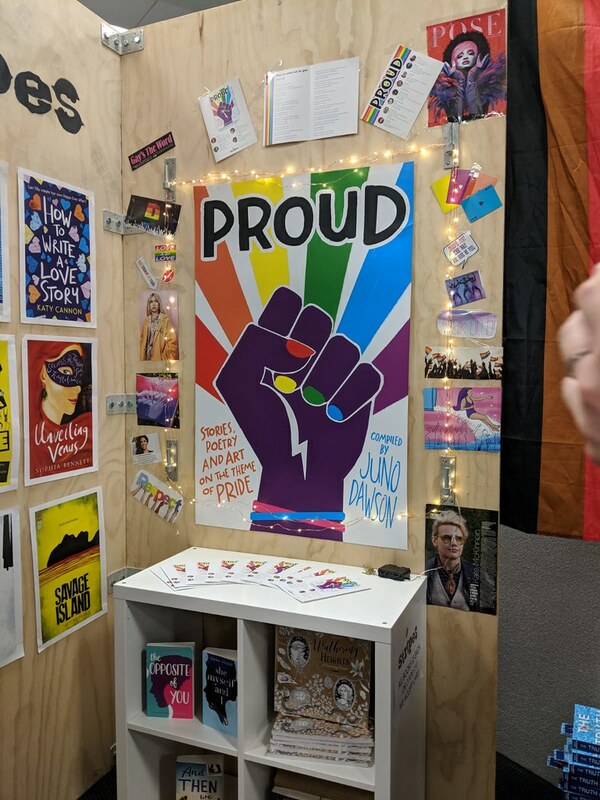 I really wanted YALC to have improved the accessibility for this year a lot, but in reality it didn’t work out that way. I also saw quite a few complaints regarding the extra help wristbands not being taken in to consideration. I feel like i could carry on forever saying ‘this was lovely, and i really enjoyed this’ but honestly i loved the whole weekend. I felt so relaxed, my mental health was great and i did everything i wanted to do. Admittedly there was a lot of down time and a few changes made it hard to get used to (seriously, i didn’t have to run for a single ARC and that was nice) but also was well entertained. If you got this far, well done, and if we chatted at YALC, it was really nice and i want to be your friend! I did really have the best weekend and i’m already thinking about booking my ticket for next year.